How do I take videos or photos with the Anamorphic lens? When you attach the Anamorphic lens, be sure to select the same lens from the Lens Selection menu (top toolbar, rightmost button that looks like a circle). This will de-squeeze your videos and photos. Why is my RAW photo not de-squeezed? RAW files are saved completely unprocessed because of the nature of RAW format — these images are delivered to you completely untouched, straight from the camera sensor. If you would like to save a de-squeezed image, please shoot in HEIF/JPEG or TIFF. If you prefer to capture in RAW, then you can always de-squeeze the RAW file after capturing in a separate photo editing app (see this article on how to de-squeeze in Photoshop). Why is my video not de-squeezed? If you are shooting at 1080p at 120fps or greater, or 4K at 60fps, videos cannot be de-squeezed because the phone cannot keep up with de-squeezing so many frames at such a high rate. 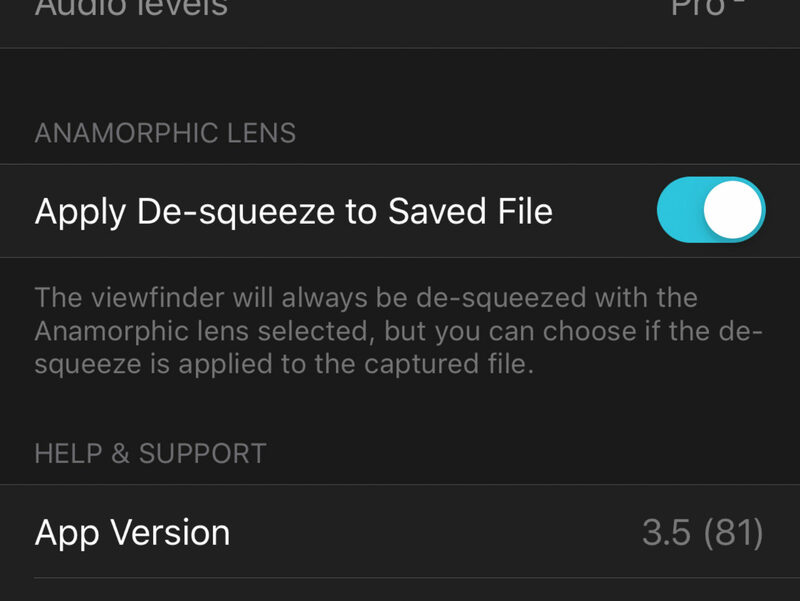 You will need to de-squeeze videos shot with these settings in a separate video editing app (see this article on how to de-squeeze in post-processing, beginning with method #3). My videos/photos are still not de-squeezed although I selected the Anamorphic lens and I'm not shooting RAW.